Citing an unnamed source, Jack March reported on Monday that only the 27-inch iMac will be upgraded to a Retina display, leaving out the smaller 21.5-inch all-in-one desktop. The 27-inch model is said to have a 5K screen resolution of 5,120 by 2,880 pixels, which is exactly double the current resolution of 2,560 by 1,440. The report also claims that the new iMac will be able to be configured with an Intel i7-4790K processor clocked at 4.0 gigahertz. That's a current-generation Haswell processor, as Intel's next-generation Broadwell processors are not expected to be available until early 2015. The 5K screen is said to be powered by AMD graphics, which would be a switch from the Nvidia GPUs found in current iMac models. As for the 21.5-inch iMac, Monday's report suggested that Apple might bring a Retina display to the smaller model once Intel's Broadwell chips become available. Apple's first Mac with a Retina display was the 15-inch MacBook Pro, which debuted in mid-2012. A 13-inch version debuted later that year, in the fall. The report is the latest to claim that Apple has slotted an updated 27-inch iMac for launch this fall. 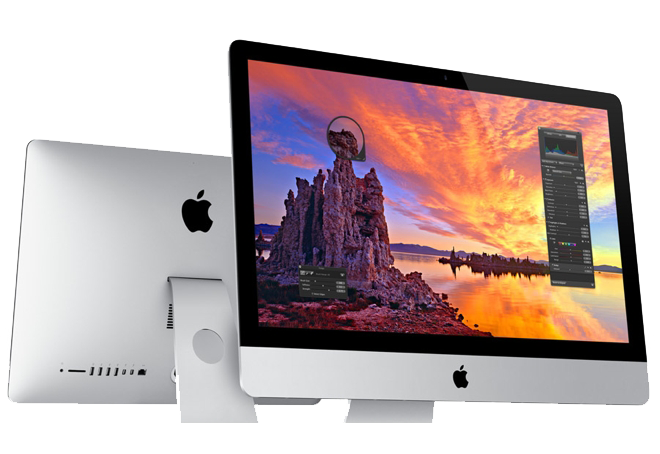 Signs of a potential Retina display iMac were first spotted in June in Apple's beta release of OS X 10.10 Yosemite. 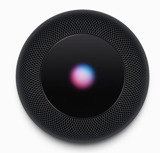 Apple is widely expected to be planning a media event in October where the company would presumably introduce the new iMac with Retina display, as well as next-generation iPads expected to sport Touch ID fingerprint sensors. The company is also said to be working on a new MacBook Air with Retina display, as well as a revamped Apple TV, but recent rumors have suggested those refreshes might not arrive until 2015.